27.2% of families with children live below the poverty line. 31% of all children under age 18 live below the poverty level. 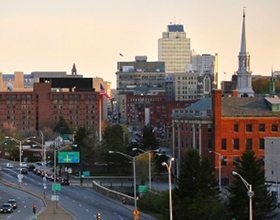 Family-to-Family’s partner in Worcester is the South Worcester Neighborhood Center. SWNC was established in 1969 as part of President Johnson’s “War on Poverty,” and the organization houses a food pantry and after-school program as well as helps area residents with issues relating to food stamps, housing, employment and health services. SWNC’s Executive Director, Ronald Charette and his staff identify and recommend families in need to our sponsorship program. Family-to-Family purchases monthly groceries for Worcester sponsored families from the Worcester County Food Bank. Read more about Ron Charette and Worcester’s hunger problem below.